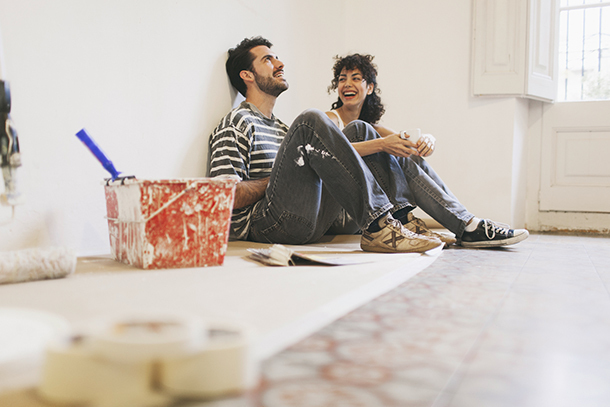 Some popular home maintenance jobs do lend themselves to DIY. We take a look at jobs that you can take on around your home – or pass over to the professionals if you haven’t got the time or tools to hand. From bleeding your radiators to protecting your shed, we'll help you keep your home in tip top condition. Keep reading to learn our expert tips that will help you carry out essential home maintenance tasks and improvements safely and easily. When: Minimum of every five years, but it’s best to do it every two years. Why: It’s not essential, but will keep your house looking good. Tips: Use dust sheets and make sure you have enough paint, particularly if it’s a specially mixed colour. Always start with the ceiling and use a minimum of two coats all over. If you need to cover stains, don’t just use emulsion; use a stain block or oil-based paint to cover them first. What you'll need: To paint a 4 x 4-metre room, including skirting and door, you'll need 15 litres of paint, roller tray and roller, paint brushes (set of five), masking tape, sand paper, sand block, white spirit, two dust sheets, polyfilla, gloss paint (2.5 litres), palette knife. If you’d rather someone else took the job off your hands, then Which? Trusted Traders have endorsed painters and decorators who can help. When: Once a year or whenever your radiators feel hot at the bottom but cold at the top. Why: If you don’t, your radiators won’t heat up properly and you’ll waste energy and money. Tips: Have some rags handy to catch the water so you don’t end up with a mess or damage the surrounding area. Use a bleed key (also known as a vent key) to open the valve. You’ll hear air hissing as it escapes. Keep the valve open until a little water runs out and the air has stopped completely. It's best to turn off your boiler before you bleed radiators. And if you have a combi boiler, you'll need to adjust the pressure after you've done the job. If you don't, the pressure will be incorrect and the boiler will run inefficiently. If you need a new boiler, make sure you choose a reliable brand. We reveal the best boiler brands. Why: To make sure your house is secure. Tips: You can fit door guards and hinge bolts yourself. A hinge bolt goes on the same side of the door as the hinges so it’s protected all round. A door guard limits how far the door opens, giving you extra home security. Make sure the door frame is well fixed and strong; this is often overlooked when fixing new locks. What you'll need: To add two hinge bolts to a door, you'll need: two hinge bolts, screws, electric drill. If you feel your home security needs more of an overhaul. Which? Trusted Traders has home security specialists, as well as accredited locksmiths who can advise you. When: Check drains once a year to see if they need clearing. Why: Your home could be hit by water damage if your drains overflow. And if you don’t deal with simple blockages immediately, you may have to get a professional in, which can be pricey. Tips: Clear drain blockages with drain rods. Lift up your manhole cover and use the plunger rod to clear the blockage, adding rods as you need them; this will depend on how far down the pipe the blockage is. Make sure you go with the flow of the drain, and once the blockage is cleared use a hose to flush it through. 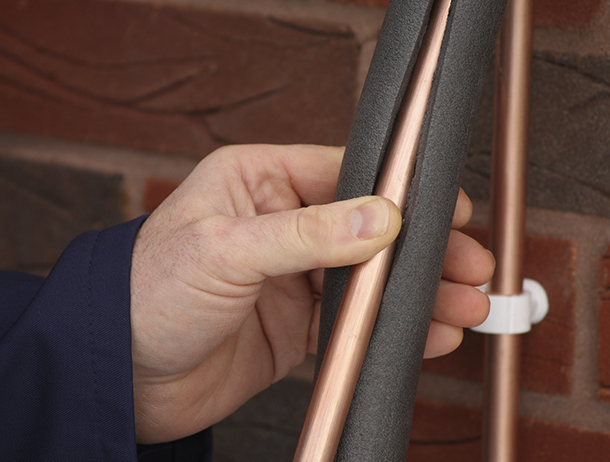 What you'll need: chimney drain rods set with plunger rod, worm screw and gloves. If you are having trouble clearing your drains, or simply fancy leaving this one to the professionals, Which? Trusted Traders provides accredited drain and sewer services. Why: Pipes that aren’t insulated can freeze and burst, causing thousands of pounds' worth of damage. Insulating your hot-water tank and pipes can save up to £150 a year on your heating bill. Tips: Buy pre-slit foam insulation, slip it around the pipe and seal the joint with gaffer tape. You can buy purpose-made insulation jackets for your cold water tank in the roof space and to wrap around the hot-water tank. What you'll need: To insulate 10 metres of pipe and a hot-water tank, you'll need: pipe insulation (10 metres) for 19mm pipes and gaffer tape. For your tank you'll just need the hot-water tank jacket, which you can buy from a local DIY shop. Why: You’ll save money on energy bills and your home will feel warmer. Tips: Clean surfaces thoroughly before you apply self-adhesive draught excluders. Stick the draught excluder to the edge of the open window so it’s tight against the frame when you shut it. Apply it to the door frame rather than the door itself. Use our expert tips to cut your energy bills - see our guide to draught proofing. For more saving ideas, see our guide to cutting the cost of your heating. When: When the joints appear cracked and broken. Why: Slabs can become loose and weeds will grow rapidly through the joints. Tips: Rake out the old joints first. Use dry, soft sand and cement mixed to a ratio of three parts sand to one part cement. Sweep it into the joints with a soft brush, forcing into joints with your hands – you must wear rubber gloves for this job. Rub hose or copper pipe over the new joints to give them a professional finish. Make sure you do this on a dry day. What you'll need: To rake out and repoint a 12 square metre patio, you'll need: 10kg of cement, rubber gloves, bucket, yellow building sand, a pointing tool, brush and a hose. If you would rather pass this over to a professional, Which? Trusted Traders have endorsed gardeners and landscapers who can help. When: Paint the shed or fence with preserver every two years. Replace the shed roof felt when it starts to leak. Act sooner rather than later to avoid water damage to the shed roof or its contents. Why: To prevent the wood from rotting. Tips: Before you attach new felt to a shed roof, apply a coat of wood preserver. Leave 15cm (6 inches) of spare felt around the roof so you don’t end up with too little; nail the felt on and then cut the excess off with a craft knife. You’ll need a stepladder and a friend to help you. What you'll need: To paint a 2.4 x 1.2-metre (8ft x 4ft) shed with wood preserver and to recover the roof, you'll need: 5 litres of wood preserver, brushes, white spirit, sand paper, sand block, two rolls of felt roofing of around 5 metres x 1 metre, a stanley knife, hammer and galvanised nails. Tips: Rolls of blanket insulation come in various different widths to match to your loft, so start by measuring the distance between joists and buying the nearest size. Ideally it should fit neatly between the joists. To calculate the right amount, measure the length of the floor space to be covered. Don't stretch or tear blanket insulation – use scissors if it needs to be cut. 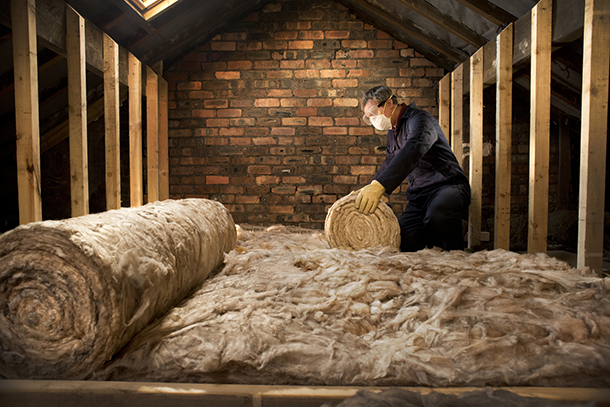 Read our full expert guide to loft insulation. What you'll need: This will depend on your roof type and what insulation you already have installed. Why: It’s not essential, but looks good. Tips: Work from the furthest corner towards the door. Create an even surface using leveller boards or screed if there are significant changes in the level of the floor. Height variations should not exceed 2-3 mm per metre. Read our full guide to fitting your own wood flooring. What you'll need: A tape measure, carpenter’s square and pencil for measuring and marking boards; fitting tools including a pull bar, wedges and a tapping block; and a decent handsaw for trimming lengths. Short on time or handsaws? Which? Trusted Traders have professional carpet and wooden-floor fitters who can do the job for you.